Iceland is well know for its use of renewable energy, particularly geothermal energy, but soon the country could be combating climate change in a very different, but equally innovative way. Sometime this month, the group of American and Icelandic designers and researchers behind the CarbFix experiment will begin pumping “seltzer water” into a deep hole on the edge of a volcano to lock away carbon dioxide — forever. The carbonated liquid will react with the basalt rock that lies deep beneath the surface to form limestone, meaning that the CO2 will never be able to escape and warm our planet. Storing carbon dioxide is not a new practice, but most systems store the CO2 in reservoirs that are still susceptible to leaks. CarbFix’s process would transform the gas below the Earth’s surface into a completely harmless substance. So how does this process work exactly? 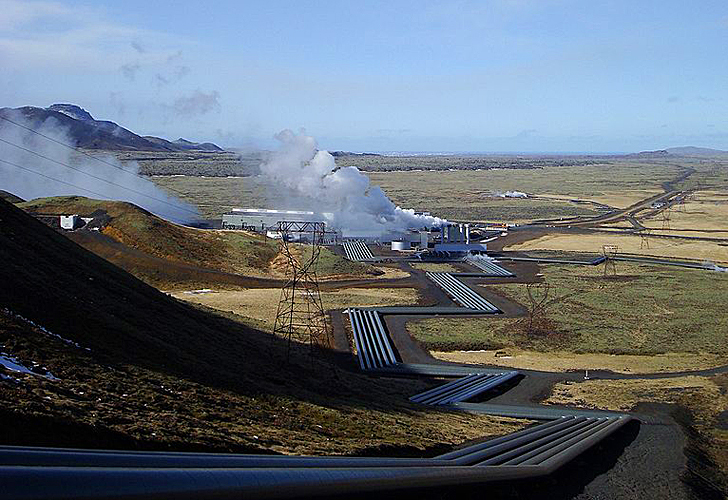 The chosen site for the $11 million experiment is a 5-year-old geothermal power plant operated by Reykjavik Energy, just outside of Iceland’s capital. The plant has 30 wells that draw power from steam that’s filled with CO2 and hydrogen sulfide. CarbFix will separate these two gases and pipe the CO2 into a well 1,600 feet underground where it will be mixed with water. The pressure of the water will dissolve the CO2 bubbles, creating carbonic acid. The acid will then be injected into the surrounding basalt rock, which is very porous as it was once a lava flow 2,200 years ago. The acid will fill the pores and react with the basalt’s calcium to form limestone. CarbFix’s researchers are clear that this 6 to 12 month experiment is just that — an experiment. There are a lot of unanswered questions and possible issues that could occur, so they do not want people to think that this will soon be a “climate fix.” During the trial period, they will monitor how fast the carbonic acid spreads and reacts with the rock. Their biggest concern is that the chemical reaction will occur too quickly and the new limestone will block their path. Despite CarbFix’s reservations, their technology has amazing potential. With it, geothermal plants could neutralize their CO2 emissions and coal plants could permanently lock away their emissions. Perhaps what makes it so promising is the huge basalt deposits are common throughout the world and under the entire sea floor. It may be a long time before we’re pumping CO2 deep under the oceans, but it’s nice to know that people are thinking that far ahead. That is some cool science right there. 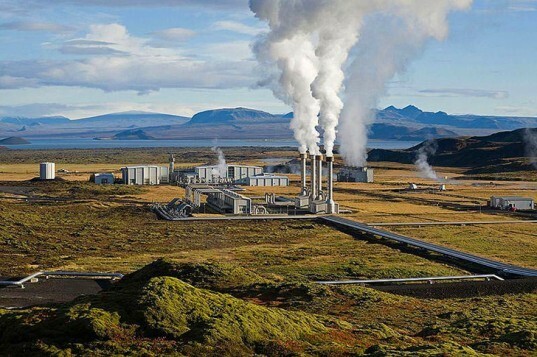 Iceland is well know for its use of renewable energy, particularly geothermal energy, but soon the country could be combating climate change in a very different, but equally innovative way. Sometime this month, the group of American and Icelandic designers and researchers behind the CarbFix experiment will begin pumping "seltzer water" into a deep hole on the edge of a volcano to lock away carbon dioxide -- forever. The carbonated liquid will react with the basalt rock that lies deep beneath the surface to form limestone, meaning that the CO2 will never be able to escape and warm our planet.